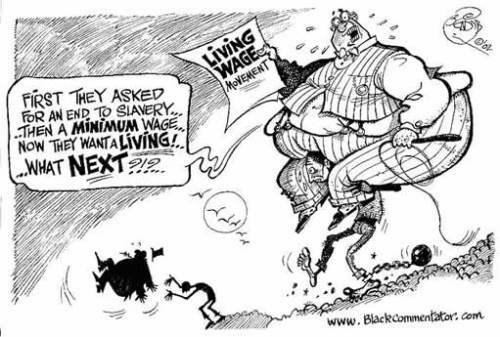 Celtic and the Living Wage: What the Hell Do We Care? For some time now there’s been a debate in Celtic circles about whether the club should commit to paying a ‘living wage’ to its employees. It was a major issue at the AGM last year and already, in anticipation of the 2014 AGM in a few weeks’ time, more than 3,000 supporters have signed an online petition urging the club to make the commitment. But what is the living wage? And what does it have to do with Celtic? In the United Kingdom it is unlawful to pay a worker less than a minimum wage of £6.50 per hour (a lower rate applies to those aged under 21). The living wage is based on the cost of living in the UK and is presently calculated at £7.65 per hour. The campaign for a living wage was launched back in 2001 by parents in the East End of London. Despite working two or more jobs on minimum wage rates these families still struggled to make ends meet. A wage based on the actual cost of living in their part of the world would mean they could manage their family budgets better, spend more time with their children (by working fewer hours) and, crucially, remain in work – rather than rely solely on state benefits for income. Thirteen years on, a recent episode of the BBC’s current affairs programme Panorama revealed that the problem of low pay has in fact worsened. The families featured revealed that despite parents being in full-time employment and in receipt of some state benefits (including Working Families Tax Credits) they often struggled to put food on the table especially in the last week of the month – and parents would regularly skip meals so their children didn’t have to. The programme can be viewed here: http://www.bbc.co.uk/programmes/b04l6x1k. The Living Wage rate is calculated each year by Loughborough University’s Centre for Research in Social Policy (details of the Centre’s work can be found here: http://www.lboro.ac.uk/research/crsp/mis/thelivingwage/). The Living Wage Foundation is the campaigning organisation seeking to persuade employers to pay their workers at an hourly rate higher than the minimum wage. To date they’ve had some big successes with these household names: Barclays and HSBC banks, Aviva, Deloitte, Nestle, KPMG, Legal & General, Nationwide, Pearson, ITV, Lush, Lloyds, Accenture and a range of local authorities, trade unions, NHS Trusts as well as charities and voluntary sector employers. In Scotland, well-known companies including Standard Life, SSE energy and Aberdeen Asset Management are Living Wage employers. In the city of Glasgow more than 130 organisations have made the public commitment to pay £7.65 per hour. Politically, support for the Living Wage is widespread. 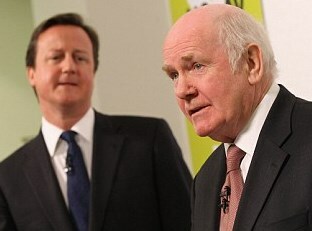 Prime Minister David Cameron has stated publicly he supports the idea in principle. According to Boris Johnson, the Mayor of London, paying the Living Wage “is not only morally right, but makes good business sense too.” Labour Party leader Ed Miliband had acknowledged his support for the concept of a Living Wage – before committing his party to increasing the minimum wage to £8 per hour if elected into Government next year. Football clubs are of course different creatures from other commercial organisations. Many of the club’s players, especially those in the first team, earn salaries that the rest of us will only ever match if our Lottery numbers come up. It is widely believed that Celtic captain Scott Brown is the highest paid player in Scotland earning in the region of £25,000 per week. The group of seriously high-earners at Celtic Park isn’t limited to those in the dressing room though. According to the club’s annual report in 2013 Chief Executive Peter Lawwell was paid a grand old total of £999,591 for his labours (up a mere £62 from 2012) while Finance Director Eric Riley received a none-too-shabby £256,898. In stark contrast, just under half of the club’s total workforce of 455 are paid the minimum wage of £6.50 per hour which equates to an annual salary for full-timers of £12,168 before tax and deductions. At the 2013 AGM Ian Bankier confirmed that 178 Celtic employees were on minimum wage – in a year where it was later confirmed that the club made a profit of £11.17 million. Many supporters who attended last year’s AGM felt that the aspirations of the fans would be met by the Board of Directors agreeing to a proposal to take “all necessary steps” to make the club a Living Wage employer. After all, at the AGM the Chairman Ian Bankier proclaimed that where Celtic were concerned “nobody took their responsibilities to the community more seriously.” What better opportunity to prove such credentials by embracing the suggestion of Jeanette Findlay, chair of the Celtic Trust, to become the first football club in the United Kingdom to adopt the Living Wage and blaze a trail for fairness and against wage poverty? It wasn’t to be. The Board of Directors recommended that the Living Wage proposal be rejected. 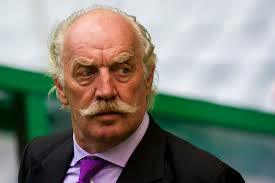 Which meant that the considerable share-holding of Dermot Desmond, who again failed to attend the AGM, was used to out-vote the supporters who were solidly behind the Living Wage resolution. Absenteeism is a problem at Celtic Park . . . and other workplaces. 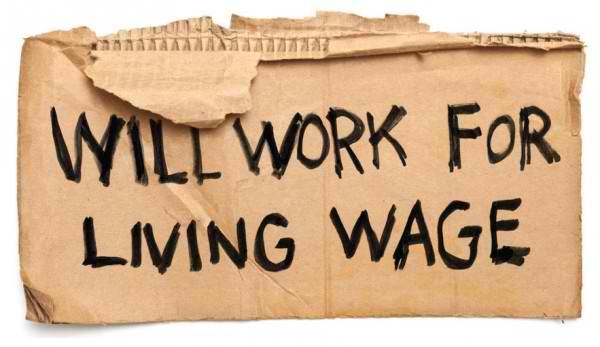 A Living Wage can address it. £500,000 is a lot of money in anyone’s language. The Chief Executive’s basic annual salary is £507,625 after all. But is half a million pounds an accurate estimate of the cost to Celtic of introducing a Living Wage? Chairman Bankier had stated that the majority of the workers involved were employed on match days only so part-timers who only worked a few days at most each month. Taking an average of say 20 home games a season, if each of these employees works 5 hours per game, the actual cost of paying all 178 workers an extra £1.15 per hour is just over £20,000 a year. That figure might be fanciful given the actual hours worked by all of Celtic’s minimum wage employees (some will certainly work more hours than just match days) – but it is a lot less fanciful than £500,000. The club should provide a breakdown of their actual estimates in order that the support can properly analyse these and get a proper understanding of whether staff such as stewards – who aren’t employed directly by Celtic but by Protectevent – are included or not. The big question ultimately will be: How could the club afford the money needed (whatever the accurate sum is) to pay the Living Wage? Well, let’s put the £11 million profit to one side and return to our Board of Directors. Last year, Chairman Bankier was paid a salary of £50,000. Lord Livingston, now a Government minister, received £30,000 while Tom Alison, Brian Duffy, Dermot Desmond and Brian Wilson were all paid £25,000 each. These men are being paid for the privilege of being Celtic Directors. They are part-timers as well, often engaged largely on match days it seems: much like those employees paid a minimum wage by the club. If even a couple of Celtic Directors were prepared to forego their “salaries” – bearing in mind that each of them has considerable business interests according to their profiles in the Annual Report – it would go a considerable way to meeting the cost of ensuring that all of our club’s employees were earning a wage to keep them above the poverty line. You might be forgiven for thinking that Brian Wilson, a former Labour Party MP and Minister, would be the first to take the plunge. After all, the Labour Party is now pledged pay all workers £8 per hour as a minimum wage if elected next year. Surely this committed Labour man will be arguing in support of his party’s policy in the Celtic Boardroom? 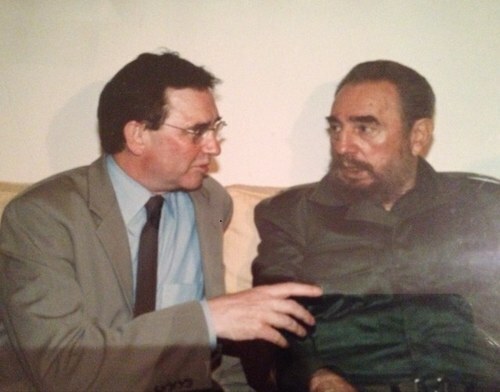 He will find an ally behind the scenes at Celtic Park in our former Chairman Dr. John Reid who, with Mr Wilson, was both vocal and prominent last month in the Labour Party’s campaign for a No vote in the Scottish independence referendum. With two Labour Party “heavyweights” promoting their party’s policy on the Living Wage in the environs of Celtic Park surely there’s a good chance of a change of heart by the Directors at the upcoming AGM? Don’t hold your breath waiting on that development. But if you believe that Celtic should embrace the concept of a Living Wage for their workers in support of the club’s Social Charter and lead the way for football clubs throughout the land to follow suit, add your voice to the thousands of supporters who have signed the petition asking the Board to think again. And if you’re a shareholder – as many Celtic supporters are – you can vote in support of the Celtic Trust motion at the forthcoming AGM. Our club rightly makes a great deal about its charitable endeavours. Over £7million having been raised since the Celtic Charity Fund (now the Celtic FC Foundation) was established almost 20 years ago. Yet this fantastic sum is derived in the main from supporter efforts and supporter donations. When the club Chairman proclaims that “charity is in the club’s DNA” it is in fact the club’s support that he is referring to. That is why the club should stick to its public commitment of meeting the aspirations of the support. 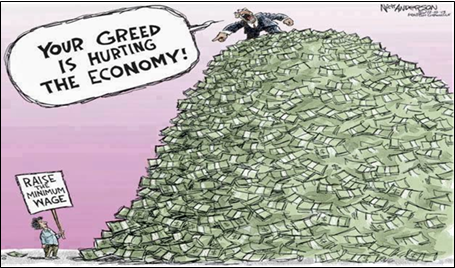 Ultimately, of course, it is us supporters who will pick up the tab for all the club’s employees to have a Living Wage when the cost is passed on to Season Ticket sales – unless the Directors decide to set a genuine example and no longer take their salaries (for what is in effect voluntary work) out of the club’s coffers. Why is it that so many Celtic fans already support the Living Wage initiative when the reality is they will ultimately pay for its introduction? Because we care about social issues like poverty. A hell of a lot. Excerpt from Memories Of Johnny Doyle, A True Celtic Great by Paul Cuddihy. It is difficult, if not impossible to imagine how those close to Johnny Doyle felt when they heard of his tragic and untimely death – a family devastated at the loss of a husband and father, and a group of men having to cope with the loss of someone who was part of their daily working life over a number of years. For the rest of us, as supporters, it was difficult to take in the news, no matter what age we were on October 19, 1981. Celtic players were heroes, giants who filled those green and white hooped jerseys and carried our hopes and dreams on to the field every week. At times they appeared like larger-than-life characters, and the idea that any of them should die so young, and while still in the sporting prime of their life, was beyond comprehension. Johnny Doyle died 29 years ago today, electrocuted while working in his house in Kilmarnock. He was only 30-years-old. 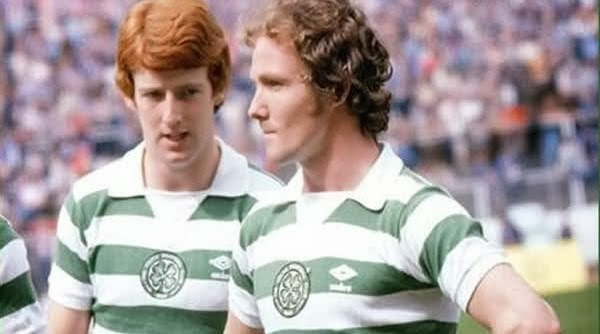 And speaking to the men who were Johnny Doyle’s friends and team-mates, one got the impression they all smiled as they remembered some of the things ‘Doyley’ had got up to at Celtic Park.